Since 1996, Fireside Home Construction's mission to provide clients with innovative and high-quality home construction and renovation services has resulted in numerous homebuilding awards, much praise and a reputation for building every project as if it were our own. Fireside Home Construction is an established, nationally recognized and reliable Michigan company headquartered in Dexter, Mich., and serving clients throughout Washtenaw County. 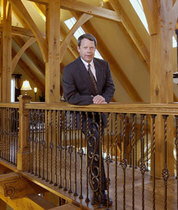 We offer homebuyers and homeowners a full-line of design, custom construction and remodeling services. Recognized for our green building expertise, we take pride in updating and building homes that feature superior energy efficiency, reduced operating costs and a reduced impact on the environment — in addition to their beauty and design excellence. We accomplish it all with a team approach to your project. We bring our clients together with fine architects, quality trades craftspeople, suppliers of high quality materials and an experienced and talented staff to build their dream.